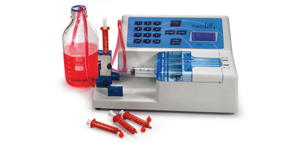 – PharmaTech – Medical Equipment Supplier | The new definition of health care ! The Apostore Twin possesses shared warehousing for both machines. PharmaTech® - The new definition of health care ! 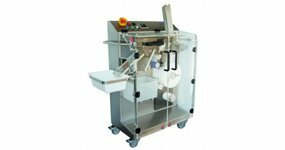 PharmaTech® Medical equipment trading L.L.C is a leading medical Robotics technology, distributor for the G.C.C. countries centrally based in Abu Dhabi. Committed to provide the highest quality, patient care, cost saving, accurate, advanced generation and reliable solutions. 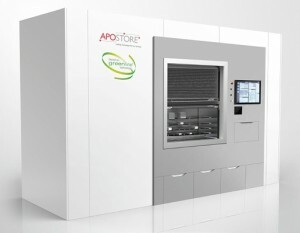 PharmaTech® deploys wide range of solutions from most advanced generation Robotics, health care supply chain improvement solutions, and e-Health technology medical equipment: Automated Dispensing Medical Cabinet – Decentralized (AcuDose) and Centralized (Robotic – Rx) Solution by Aesynt company, I.V. Automated Compounding Robotic System by Health Robotics company, Real-time RFID Smart Cabinet by Cardinal Health -WaveMark company, Out Patient (Retail) Robotic Pharmacy Dispensing Solution by Apostore company, Fully Automated Tablet Packing Machine by TOSHO company, and Medicine Pouch Verification by Global Factories. The Benz Corporation has advised UltraVision that the use of enzyme cleaners, in conjunction with peroxide solutions, can damage the UV blocker in the Benz TM 3X material. Please ensure that wearers do not mix peroxide and enzyme cleaners together. Enzyme cleaners and peroxide solutions, when used individually, are not harmful to the UV blocker.